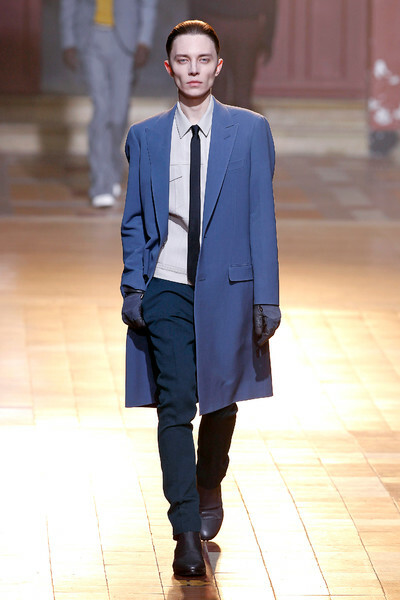 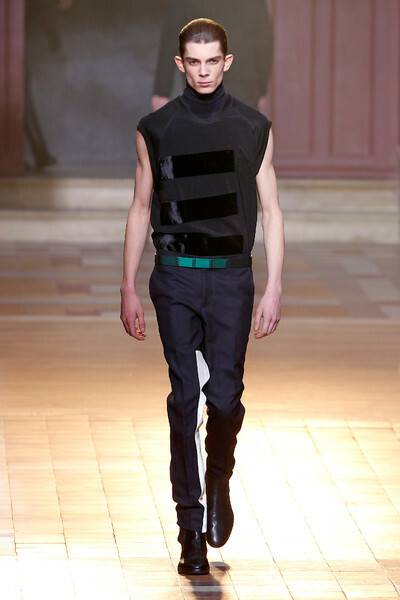 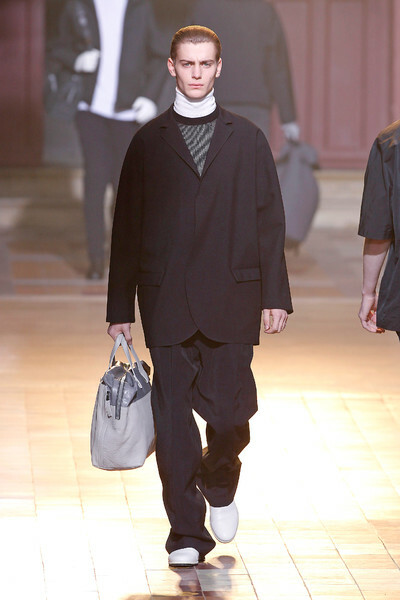 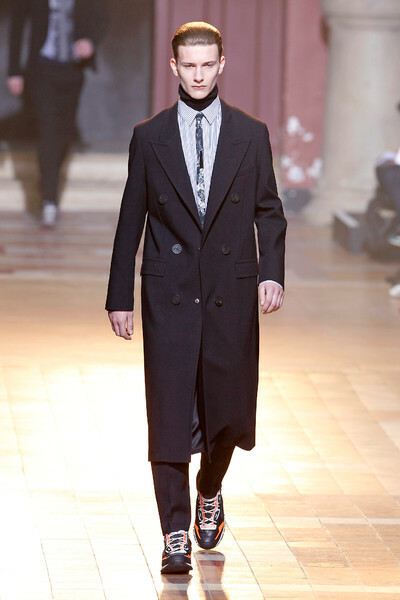 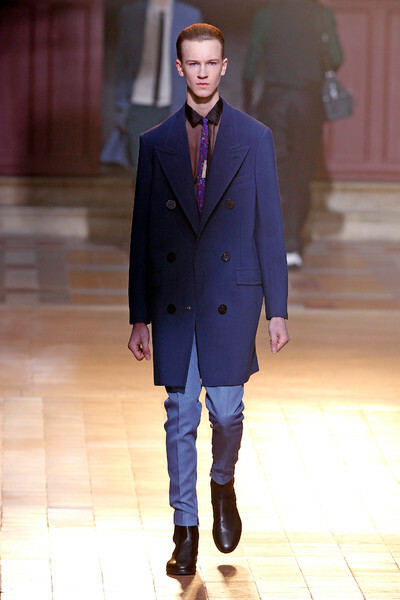 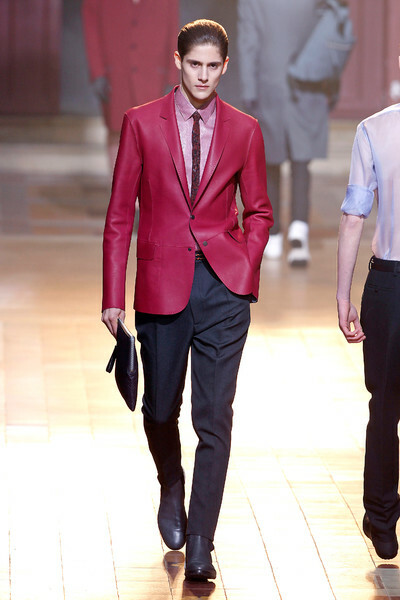 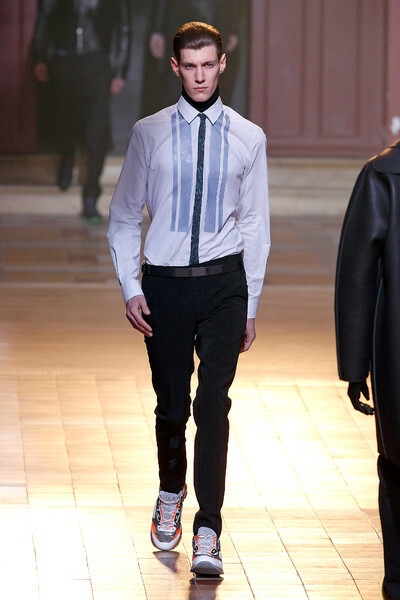 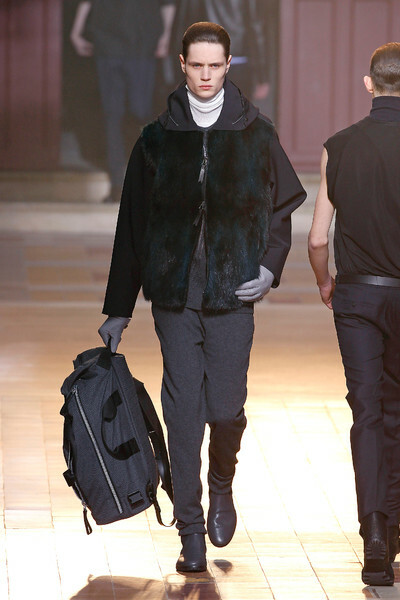 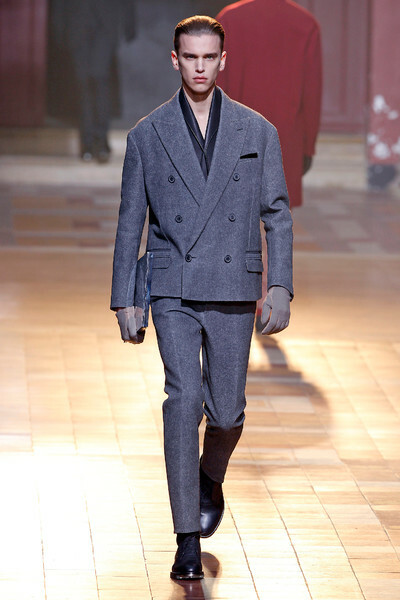 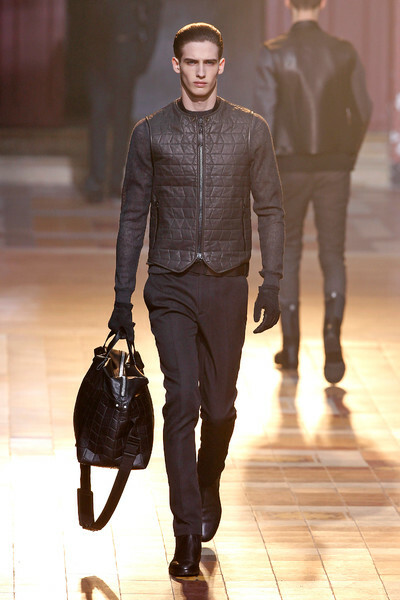 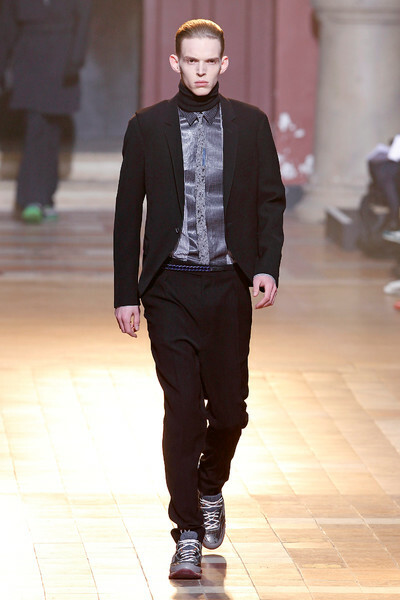 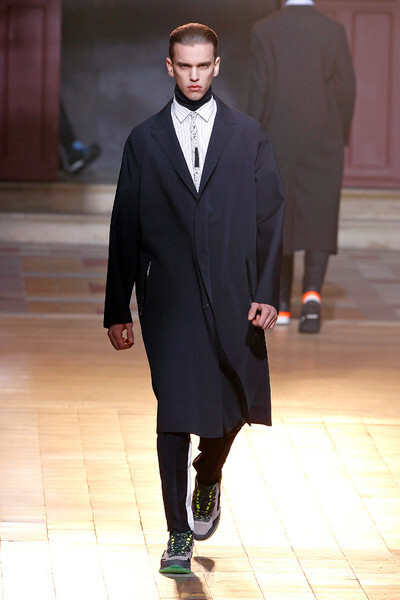 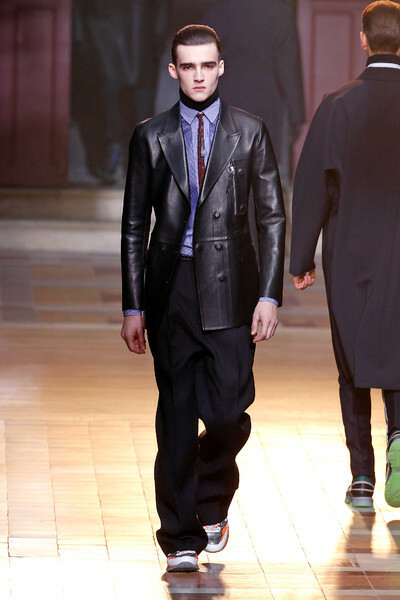 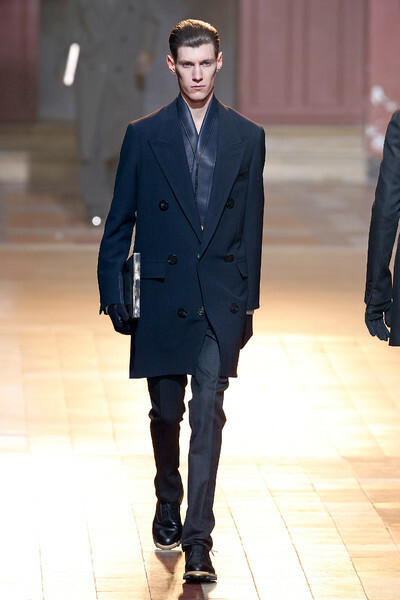 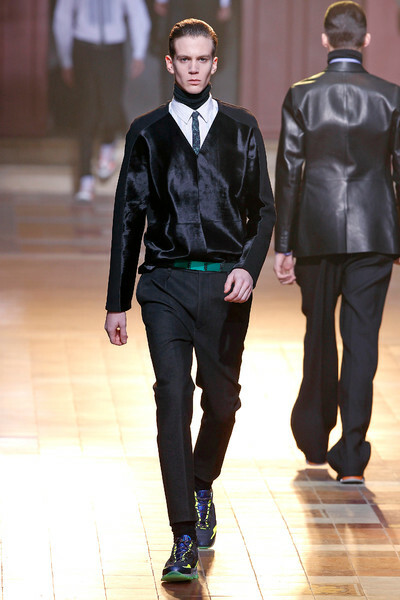 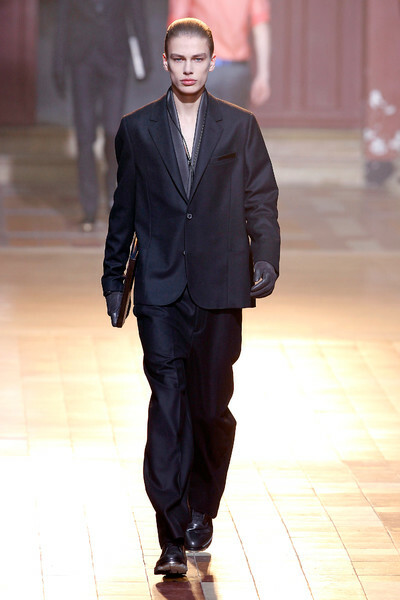 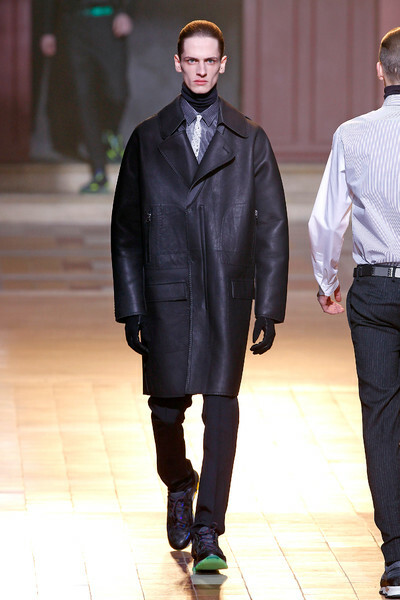 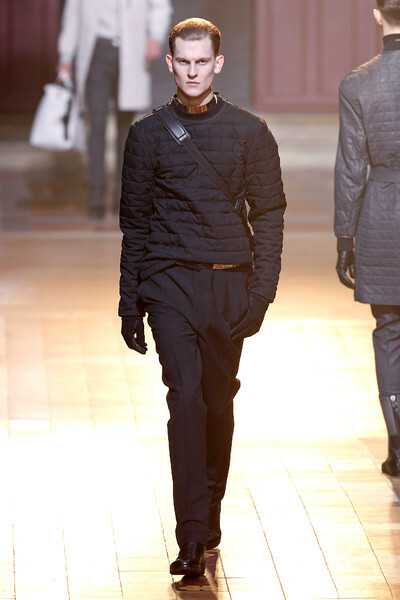 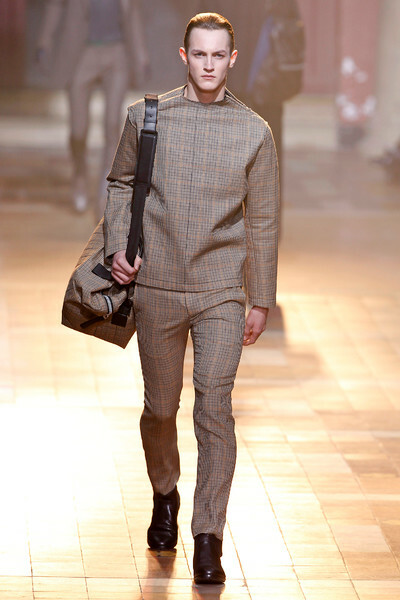 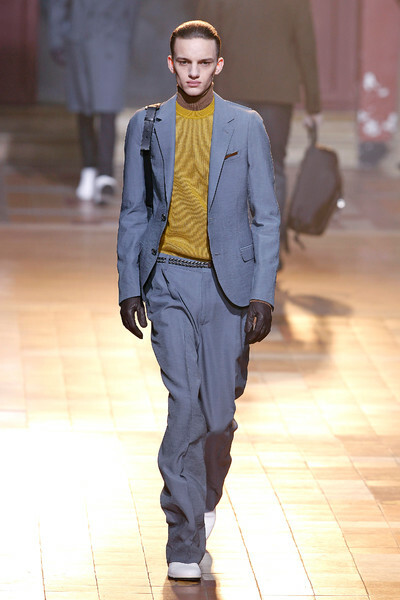 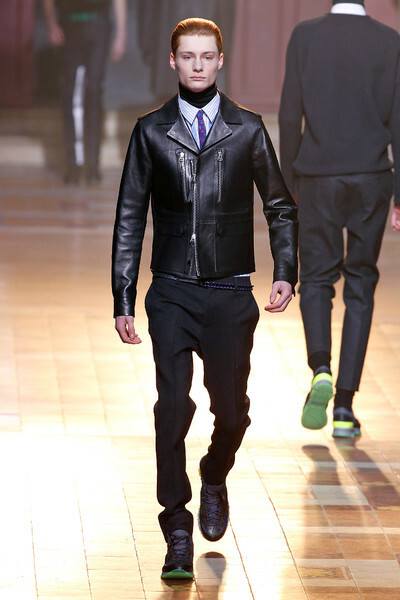 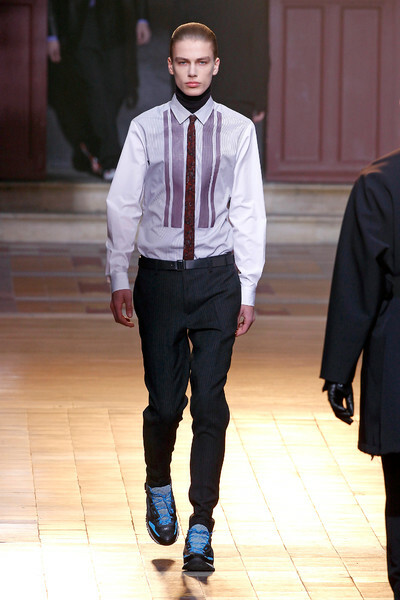 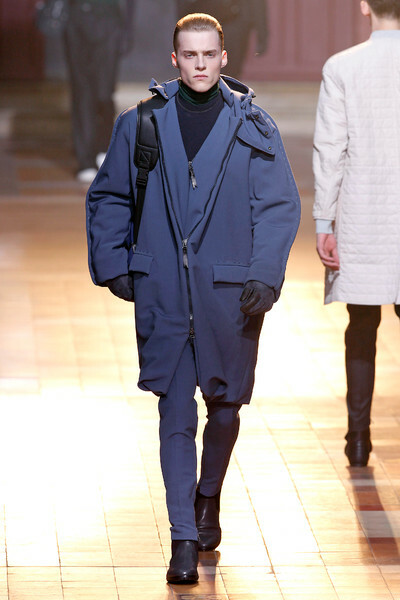 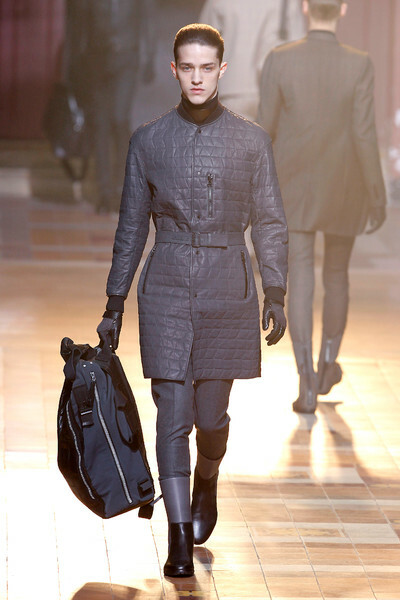 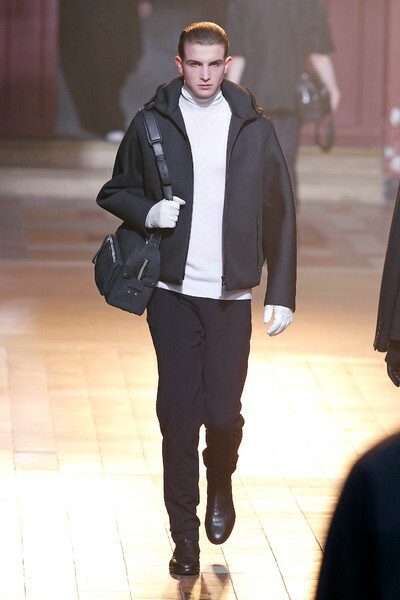 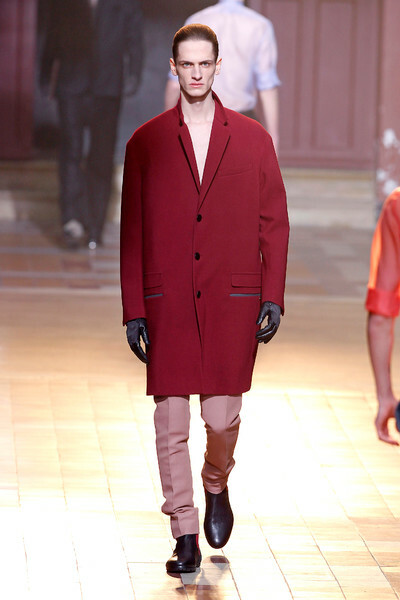 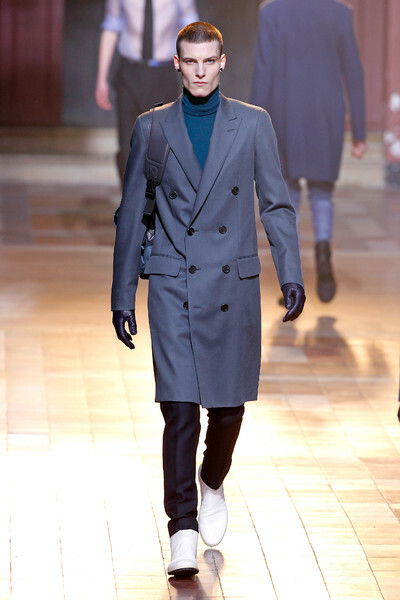 Alber Elbaz and Lucas Ossendrijver looked for contrast in their latest fall winter collections. 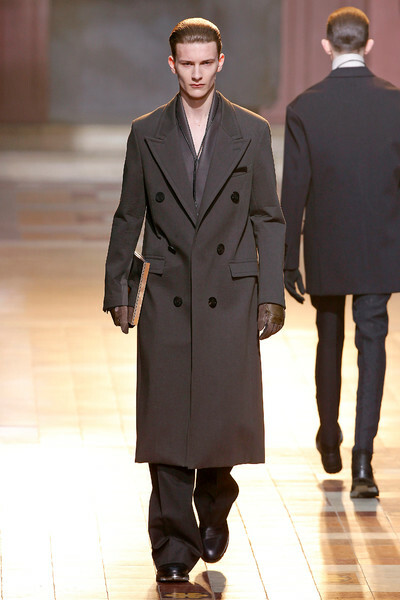 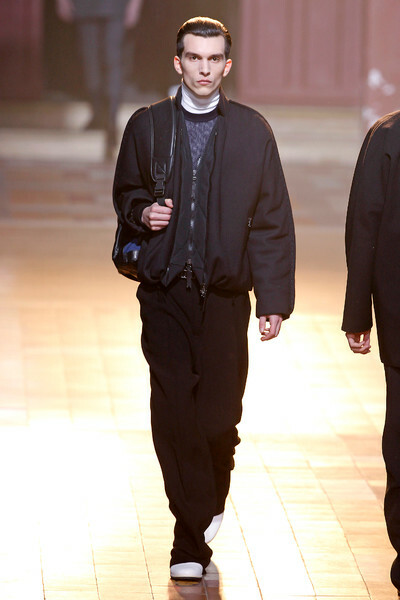 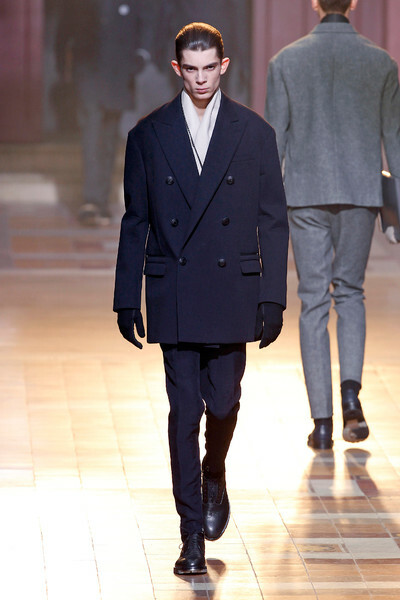 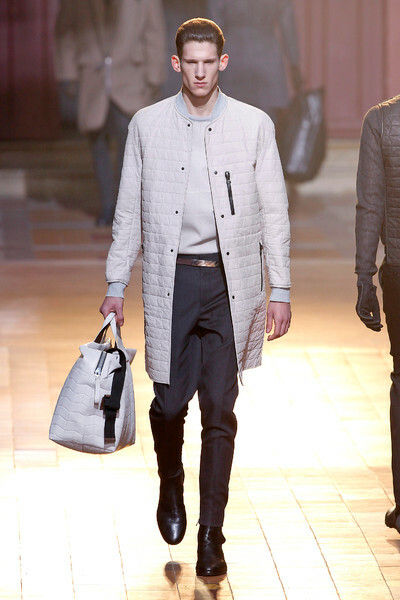 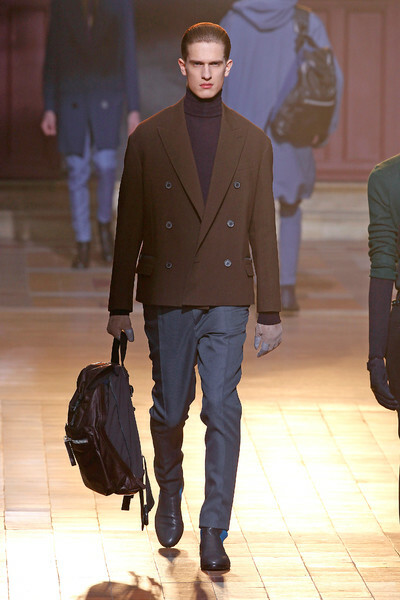 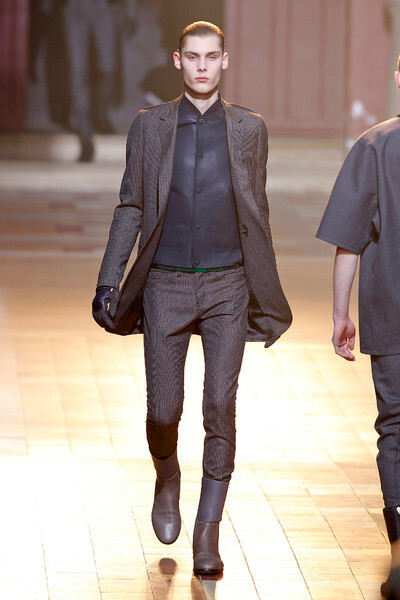 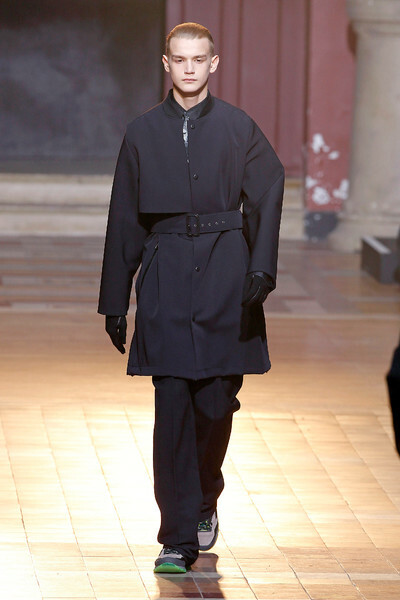 Their guys wore ultra thin ties tucked in their pants as well as oversize woolen coats. 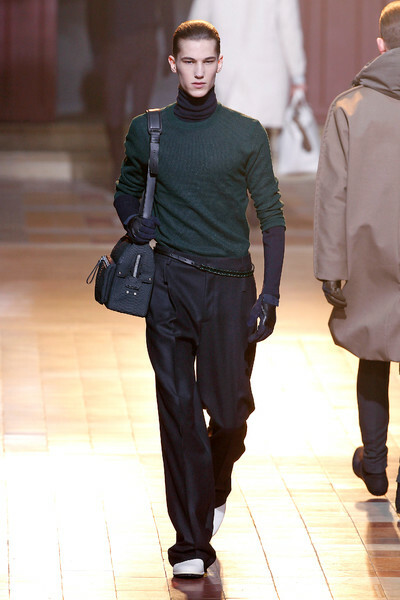 Their turtlenecks in many shades, shiny shirts and footwear were just as strong statement pieces. 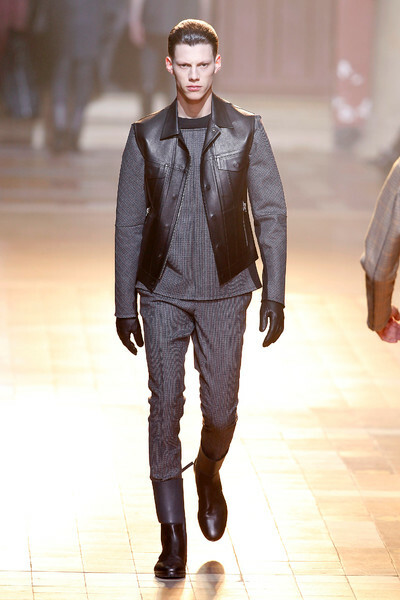 A few quilted leather pieces were quite the opposite of the pair of sheer colored blouses towards the end of the collection. 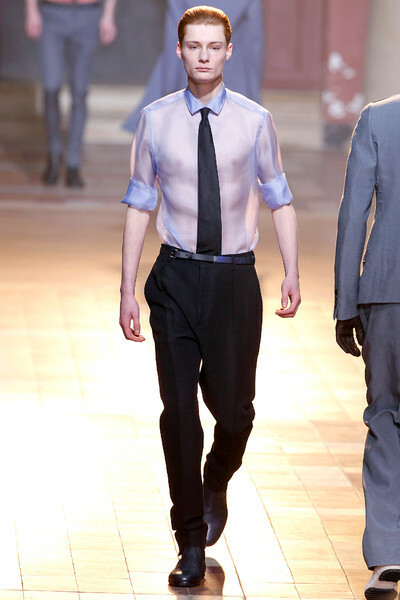 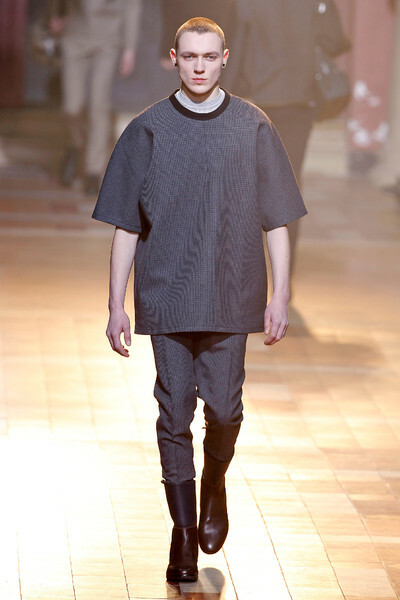 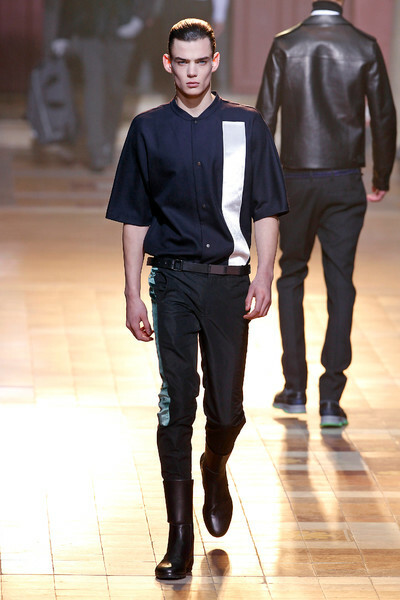 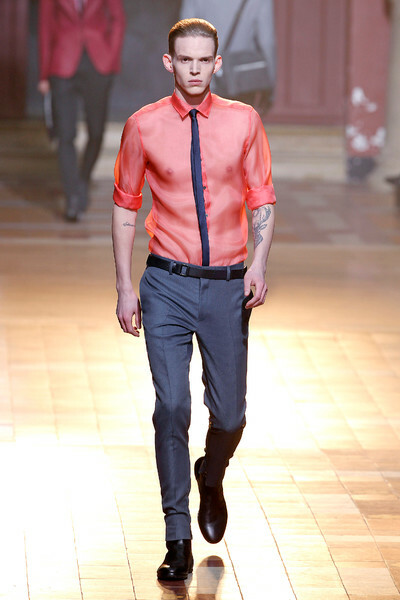 And an oversize T-shirt and a pair of slim pants formed an odd, yet good looking combination. 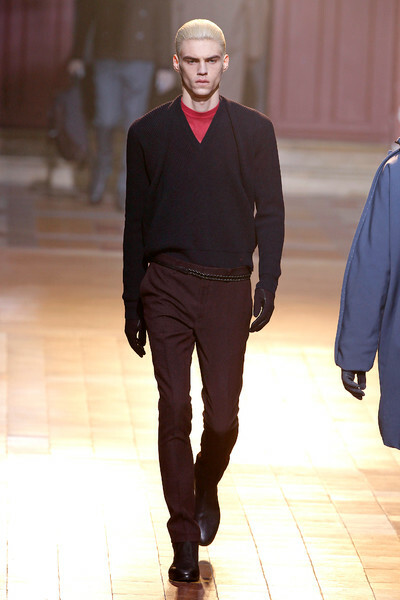 Shades of red and blue were strangely mixed in with the typical winter color palette of blacks, whites and greys. 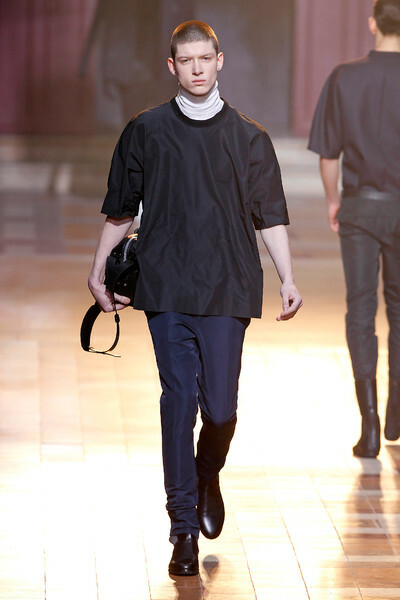 The designer duo tried lots of new things. 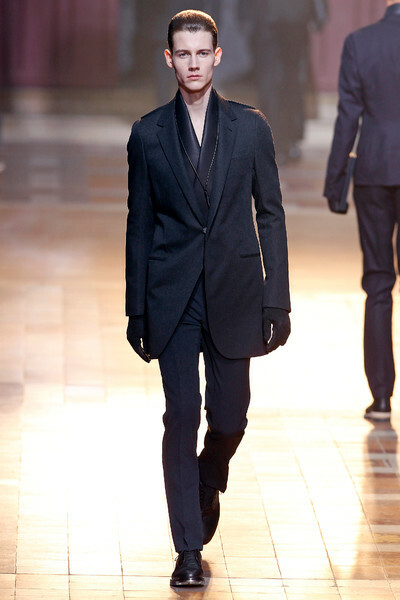 Some more powerful than others, but lots to think about nevertheless.